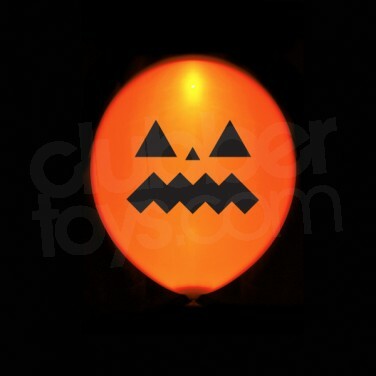 Each balloon features a printed creepy Halloween design including spooky ghosts, pumpkins and aliens which makes them perfect for children's parties and Halloween events even for us big kids too! Illoom Balloons feature a simple but brilliant light up mechanism to make the balloons illuminate for up to 15 hours with their bright and colourful LED lights. 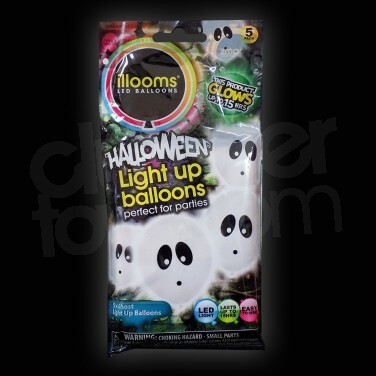 Each pack includes five seasonal light up balloons. 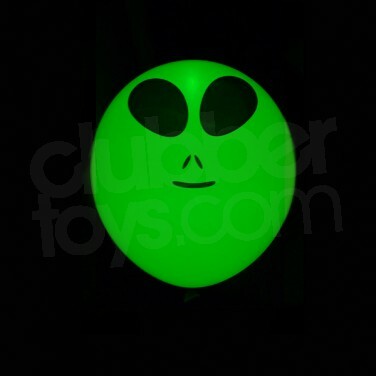 Pump or blow them up with air for hours and hours of glowing, floating and bouncing balloon fun! 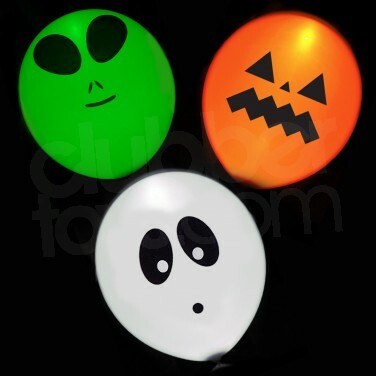 Colourful characters to choose from include Aliens, Ghosts or Pumpkins. Perfect for adding extra spooky glow to your Halloween party! These huge 3 foot glow star balloons are nearly a metre (90cm) in diameter when fully inflated and printed with a dazzling array of glow in the dark stars! 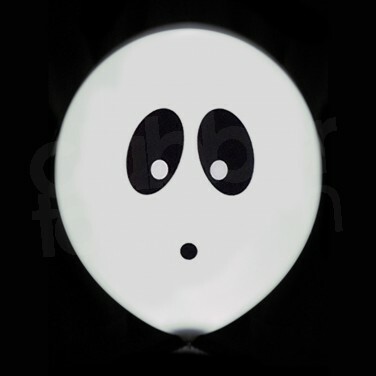 Illoom Balloons can be used to add colourful glow to any event. Choose from packs of five or fifteen colourful glowing balloons that are a brilliant glowing alternative to regular balloons and just as versatile!